Missed out on the SSFX Short Film Festival back in September 2017? Not to worry because the short films will be touring the UK (and some international venues also), having been made freely available to independent cinemas, film festivals, and clubs or societies. Get in touch for details of how to screen, all we ask is that you let us know which films you show and to how many people. Check out our trailer for what to expect at one of these events. After a world tour which has seen the short films from the SSFX project tour 16 film festivals across 8 countries and at over 500 different events, we not release our anthology film online for free. Watch it now! We’ve had a very busy year touring the SSFX shorts around the world, with some tremendous successes from our filmmakers. With the tour soon to wrap up, we’re pleased to announce that the anthology film linking together all our short films will be released online for free later this year. Watch this space for more! One of the SSFX Short Films, Astroturf, has won the Best Experimental Film Award at this year’s SCInema International Science Film Festival. 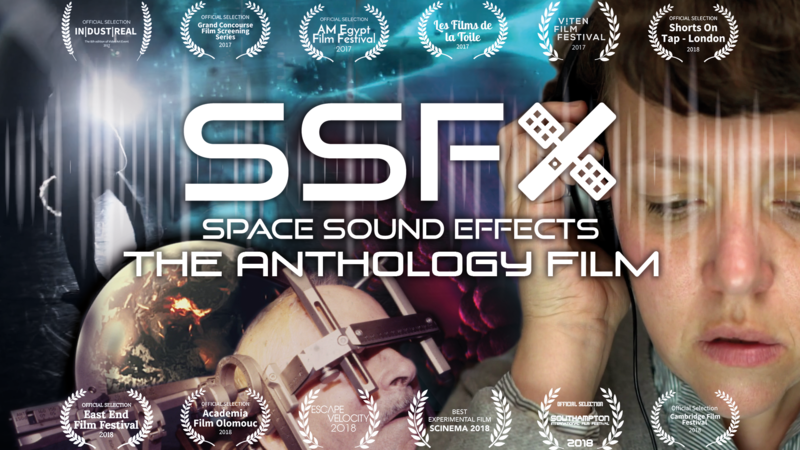 The judges commented that “This clever film takes the old adage ‘in space no one can hear you scream’ and turns it on its head.” Astroturf, along with the other winners, will tour cinemas around Australia over the next few months. Our anthology film discusses the science behind the project and integrates the short films through a framing story. Here’s a behind the scenes look at its creation. We’re showcasing the short films produced through the SSFX project, hearing from the filmmakers involved. Victor Galvao discusses Saturation. There’s no answer when time is the question. Featuring 35mm slides found in a medical archive, this sci-fi story concerns unknown phenomena that made all organic processes so fast as to make life impossible. We’re showcasing the short films produced through the SSFX project, hearing from the filmmakers involved. Ali Jennings and Jess Hammett discuss NOISE. A secretive woman opens herself up to her unruly housemate, after they are stuck together in her room.